ATLANTA -- Atlanta Fire officials are working to determine what caused a church's roof to partially collapse. A roof at Simpson Street Church of Christ, at the corner of Joseph E. Boone Boulevard and Newport Street in northwest Atlanta, fell in Monday night. Atlanta Fire Rescue Battalion Chief Darrel Mason said officials thoroughly searched the building, but found no victims, leading them to believe to church was empty at the time. 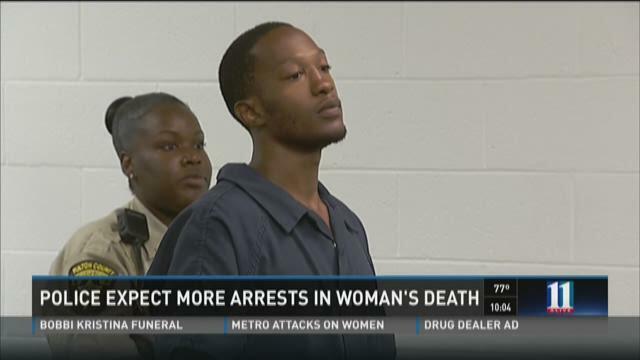 ATLANTA -- Police have made an arrest in the death of an 81-year-old woman. Mildred Martin died Monday evening while playing cards with her neighbors on her screened-in porch in the 900 block of Proctor Street in northwest Atlanta. On Thursday, police arrested 30-year-old Johnny Maurice Avery in connection with Martin's death. ATLANTA -- Police are investigating a woman's report that she was raped on the side of a northwest Atlanta road. The crime happened July 25, after the victim tried to catch a MARTA bus. She told police she missed the 5:45 a.m. bus, so she went inside the BP convenience store in the 1100 block of Chattahoochee Avenue to buy cigarettes. She was approached by the suspect when she left the store. According to a police report, the suspect asked the victim for directions to Downtown Atlanta. They walked to a covered MARTA bus stop together. The suspect then produced a handgun and pulled the victim into a ditch by the side of the road. The victim told police the suspect held his gun to her eye and raped her. Afterward, he stole the victim's backpack, which contained her identification, a debit card, a MARTA card and $10 in cash. ATLANTA (WXIA) – Atlanta Police said Wednesday evening that new evidence has emerged in the case of an 81-year-old woman who was shot to death while sitting on her porch in northwest Atlanta on Monday. Detectives were back out on her street, about 200-feet from her home, where a source close to the investigation told 11 Alive's Kevin Rowson, they found more shell casings. ATLANTA -- An argument outside an Atlanta discount store ended with one person dead and another in custody. 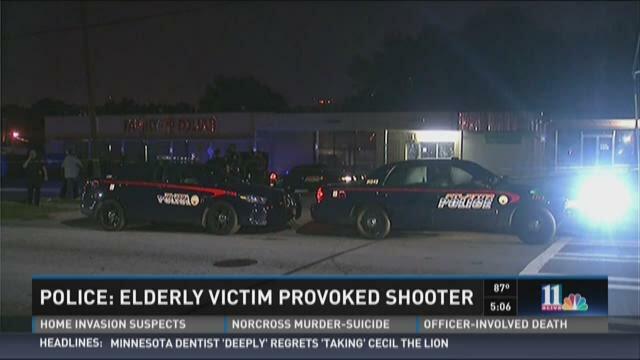 Police said the deceased -- a 71-year-old man -- was fatally shot at around 1 a.m. Wednesday outside the Family Dollar at 295 Joseph E. Lowery Boulevard in northwest Atlanta. The suspect, Maurice Brooks, stayed on the scene and was taken into custody. Brooks told responding officers he shot the man in self-defense. Witnesses said the victim went to his truck to get a gun. Police said he fired at Brooks, grazing his head. Brooks then charged the older man, wrestled his gun away from him and shot him. ATLANTA -- Atlanta Police are looking for the suspect who shot and killed an 81-year-old woman sitting on her screened-in porch. Mildred Martin died late Monday while playing cards with neighbors at her house in the 900 block of Proctor Street in northwest Atlanta. A source close to the investigation says the case is very active because they are getting cooperation from the community. And because of that, the source says, police are looking for a couple of persons of interest in the case. ATLANTA -- A man was alert and breathing after being shot in the face in northwest Atlanta Friday morning. It happened at around 1:30 a.m. in the 900 block of Desoto Street. Atlanta Police said the victim was sitting in his car when at least one suspect approached and tried to rob him. At some point, the victim was shot in the face and shoulder. The victim, whose name was not released, is being treated at Grady Memorial Hospital.